Many car insurance companies currently offer discounts or other perks for “good drivers”. 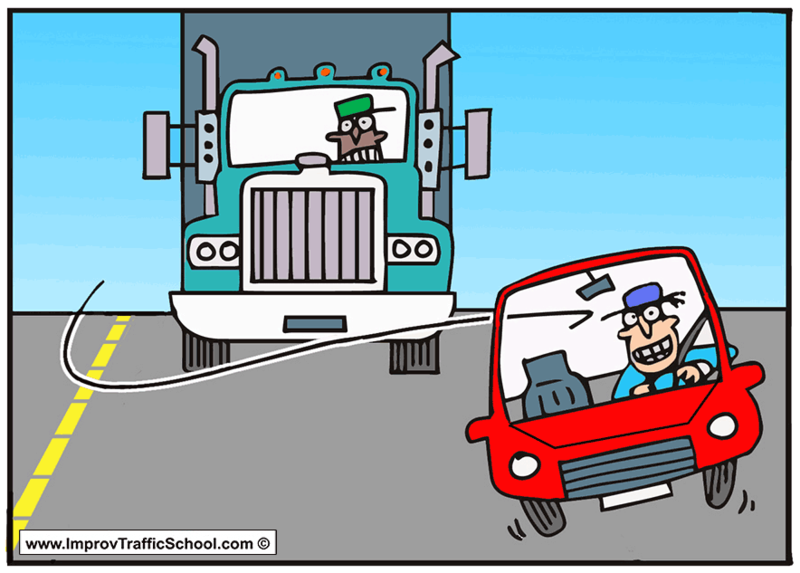 Just what a “good driver” entails varies from company to company, but usually means that you haven’t had an accident. As technology has improved and we have become more comfortable with it in our cars, insurance companies have begun to do more than look at our accident records. Technology has allowed insurance companies to monitor our driving and record the information, giving them a clearer picture of what our driving habits are really like and how well we drive. Progressive’s “Snapshot” program is a prime example of this type of voluntary driver-monitoring technology. This type of technology, commonly called telematics, works by attaching a small box to your steering wheel which then records and relays information to your insurer. It records a wide range of data, like how many miles you normally drive, at what time of day, and even your braking style. The data is analyzed to create a “snapshot” of your driving patterns, which are then scrutinized to determine your level of risk to the company. If you’re a safe driver, you get better rates—or at least that’s how it’s worked so far. Another more ominous—and more honest– name for this type of technology is usage-based insurance surveillance. And while till now the emphasis has been on the positive aspect of such surveillance–rewarding safe drivers–the potential for negative consequences has also been there. Progressive is going to put that potential to use. Progressive says they will now not only reward “good” drivers, they will also penalize drivers they deem “bad” or aggressive based on the information gathered through their Snapshot device. They revealed this through their annual report, saying saying that while till now they have subscribed to a “discount-only” model, they are introducing a new policy – currently active in one state as of December 2014 – that will offer more customers discounts while “offsetting with surcharges for a small segment of drivers.” Thanks, Progressive. In other words, they are rewarding those they consider “good” drivers with discounts, but are punishing the “bad” drivers with higher rates in order to offset the cost of the discounts. “Some customers who drive more aggressively,” they say, “[will receive] a surcharge at renewal.” The charge, Progressive assures us, is estimated to be no more than 10% of their current rate. Customers currently enrolled can opt out of the program without being penalized. Interestingly, those not currently enrolled who sign up will receive an immediate discount, even before their driving has been analyzed. According to Forbes’ 2015 Customer Loyalty Engagement Index, Progressive is number one in fulfilling customer expectations about safe driving discounts, followed by Geico, USAA, Allstate, Esurance, Nationwide, and Liberty Mutual. While in general “safe driver” means not having been involved in an accident, the different companies do have somewhat different definitions of the term, and may offer discounts for different “safe driving” behaviors. Geico will give customers a discount for taking a defensive driving course. USAA, on the other hand, defines “safe driver” as having a good driving record for over five years. State Farm‘s discount program, Drive Save & Save, uses On-Star or In-Drive to record information and calculate your discount. Esurance’s program varies according to your location, but usually includes having more than five years experience driving, and five years without being at-fault in an accident or having a DUI/DWI. Nationwide rewards you for simply avoiding an accident for at least five years, while Liberty Mutual also expects you to have had no moving violations. Allstate uses telematics in its Drivewise program, but states that it has no plans to penalize drivers based on the information collected. Of course, safe driving shouldn’t be something we do only because our insurance companies are monitoring us; whether we have Snapshot/Drivewise, On-Star, or nothing at all, driving safely should be our first thought when we get behind the wheel. It will, however, be interesting to see if other insurance companies follow Progressive’s lead.